WPFaster.com: 10 speed changes for $1,985. DIY with free plugins. – Get under 2-second load times on shared magnetic hosting with free plugins and themes. WPFaster.com: 10 speed changes for $1,985. DIY with free plugins. Let’s examine one of the Internet’s bigger speed service shakedowns: WP Faster. NOTE: Their home page loads in 2.76 seconds in our browser. Hmm? Not a very good example of less-then-2-second speed performance. WP Faster provides an itemized “ala cart” 10-item speed menu. You can do the same changes yourself for free. Fine. A cover charge. A deterrent or penalty for clients with impossible speed tasks. A filter for unqualified leads. What does that really entail? They install a caching plugin. Is that hard? No. It’s simple. There are good caching plugins with few (3) settings like free Cache Enabler. Can you do that? Yes. It’s easy to install this plugin. We use it on PagePipe. Now you know which caching plugin to install. We just told you. Don’t waste your 240 tacos! Does caching make a meaningful difference? Tom Usborne of GeneratePress, a trustworthy and infamous developer, discourages activating caching plugins. Why? Because caching frequently breaks sites! Tom is tired of telling people to turn off caching to fix theme and plugin conflicts. The minimal return in actual speed gains is trifling. A well-optimized website rarely benefits from caching plugins. It’s not worth the pain. Same goes for minification plugins. Better scores but not better speed. So, why does PagePipe use Cache Enabler if it doesn’t help speed? Face it, some pipsqueak critic won’t read this very page, go test PagePipe, and think a bad score means we’re stupid about speed. Sadness. Sigh. So a preventative preemptive strike is required against whiners and skeptics. 3PLUGIN PRIORITIZATION & LOAD ORDER OPTIMIZATION $168. For this service, they use the more complicated and heavier Plugin Organizer plugin. It’s free. Does it require fiddling with settings? Yep. Do plugin “prioritization and load order” make a significant difference in speed? Well. No. It doesn’t. Not advantages we’ve ever measured. Maybe we missed a profound artifact? If they use Plugin Organizer plugin for selective plugin activation, that would help. But they didn’t say they do that. Selective plugin activation and deactivation is tedious work. For that, we’d choose the more obscure but still free, simpler Plugin Logic. 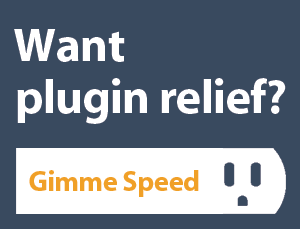 But plugin priority and load order are NOT needed except for extreme speed optimization. And, by that, we’re talking rescue-attempts at subsecond load times. Even then, this monotonous messing around won’t guarantee acceptable user experience. It’s speed hand waving or superfluous project job padding. The return on your investment is minuscule. Lossy image optimization is what you want. This is best achieved with a simple free plugin: Imsanity. No typo. Imsanity. Set the size limit to your page column width in pixels. If you don’t know that dimension, use 750 to 1000 pixels. Then set the compression to a range of 70 to 80. After backup, resize all your media library with the press of a button. Resizing is more important than compressing. Why? Because WordPress automatically compresses images to 82 quality. That is good enough for most sites. This speed-saving stopgap is already built into WordPress. But not for uploaded originals, just smaller size images like thumbs and medium-size insets. Imsanity plugin fixes everything. If you’re using free Smush plugin for optimizing images, please stop. It only compresses images by 10 percent. Worthless! It’s the worst optimization plugin available. Normal lossy compression decreases image file size by 5 to 10 times the original. In other words, around 70 to 80 percent reduction. First ask yourself: “Are my media library images PNG images? Or JPEG images?” What’s the worst performance problem caused by images? Answer: it’s site owners using high-resolution PNG image format for photographs. PNG photo format is a bad choice for speed. Use instead lossy JPEG compression. But lossy sounds bad. Doesn’t it? Lossy doesn’t mean lousy. It should be called “automated data removal for visually lossless images.” Using PNG format for photos is a mistake. How big of a mistake? Well, a proper change can take a 12-second load time down to 4 seconds. Is that good enough? Absolutely not. 4 seconds is slow. 2 seconds or below is the target speed. Is it hard to convert your media library from PNG to JPEG? Not if you use the free PNG to JPEG plugin. It even detects and preserves transparency on your tiny PNGs used as icons and guideposts. Smart plugin. A speed lifesaver. Set quality of converted JPG. Auto convert on upload only when PNG has no transparency. Convert existing PNG image to JPG. Bulk convert existing PNG images to JPG. The return on image optimization for speed isn’t as great as it used to be. Even though images are still more than half of page weight, they’re not half of page load time. Why? Because improved web browsers do faster parallel loading. Images are loading simultaneously or overlap in the performance waterfall. 6COMBINE STYLES & SCRIPTS (CONCATENATION) $168. Install a minification plugin like Autoptimize and your done. But if your site breaks, try Better WordPress Minify. Read more about minification and it’s dangers here. Minification and concatenation don’t help speed much on a well-optimized site. More money wasted on speed services. Pulleeze! One free lazy-load plugin with no settings installed for over a hundred dollars. You’ve got to be joking! BJ Lazyload plugin. And there are other freebies we like, for example, Lazy Load by WP Rocket. Does lazy loading help speed? Yep. But it doesn’t really decrease the amount of mobile bandwidth used. It improves perceived speed. We can’t believe this! Minification is intrinsic in #5 plugin solution above. Double dipping with extra charges! 9INLINE CRITICAL, ABOVE-THE-FOLD CSS $278. This is a waste of time recommended by speed tests. It usually requires a coding solution. There are plugins to help but we’ve never found one that works. Even if we did, it’s simply not worth it. Where is above-the-fold on a mobile device or tablet? Farcical. The GRAND TOTAL for WP Faster’s shakedown Bundle Offer is $1,125 dollars. Over $1,000 dollars spent for what? Nothing you can’t do with free plugins yourself. Money wasted! 10. A Highly Detailed Before-and-After Report add $100 extra. They’ve got to be joking! Next PostNext Susty review: The lightest speed theme ever.